Weston is providing environmental and engineering resources to prevent the growth and transmission of Legionella to the public and maintaining compliance with recently prescribed New York City Department of Health and Mental Hygiene guidelines. The Astoria liquefied natural gas (LNG) cooling tower system facility improvement project consists of full automation, monitoring, and control of the existing cooling tower system to maintain compliance with the recently prescribed New York City Department of Health and Mental Hygiene guidelines. This project allows for the facility to maintain compliance with the new cooling tower regulations, prevents the growth and transmission of Legionella to the public, reduces labor and manual operations, and reduces costs for the client when the system is operational. For this on-going facility improvement assignment, Weston provides both environmental and engineering services to our confidential power utility client. Work includes an engineering evaluation and risk assessment of the 600-ton cooling tower, all cooling water piping, and 12 heat exchangers located within a National Electrical Code (NEC) Class I Div. I area substantiated with calculations, cut sheets, and support documentation. Only explosion-proof boxes and wiring are allowed in this area, which complicates our design. 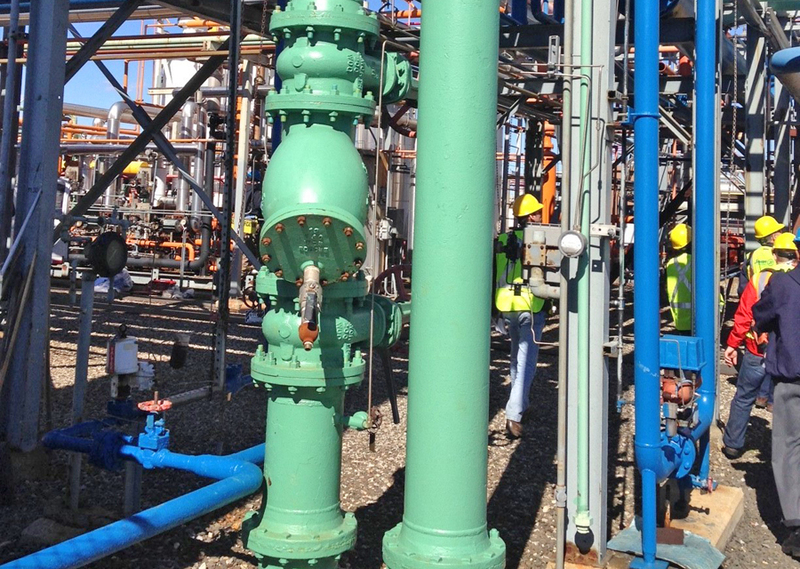 Our team also evaluated the cooling water chemical treatment program and recommended modifications to the chemicals, dosage limits, injection locations, and controllers and equipment; our recommendations were presented in an engineering report. We also provided evaluation and updates to the facility’s existing operational procedures for the cooling tower system to comply with NYC regulations (automated chemical treatment, automation, and monitoring and annunciation system). Permitting of the upgraded system and preparation of a testing and verification plan was also a part of the scope of work to comply with local agency jurisdiction. Detailed operations and maintenance instructions (start-up, shut down, alarm responses, preventive maintenance, etc.) were developed to maintain efficient system functionality. Weston is providing construction administrative support and working with the installation contractor to certify operability of the system to city and state agencies. During this assignment, Weston has successfully worked with several vendors and exhibited effective communication, attention to safety, depth of experience, and performed incident-free work.